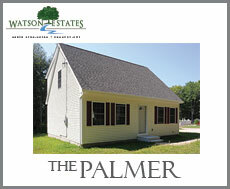 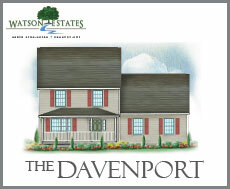 Watson Estates offers a mix of cape-style and colonial homes, with three bedrooms and two or two-and-a-half-bathrooms. 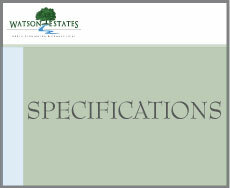 The comfort of living in a rural location is evident when admiring the fine craftsmanship and design of Watson Estates. 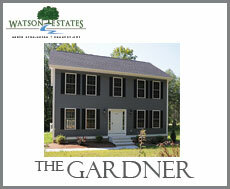 Homebuyers can custom-build their homes, choosing from a wide range of modern and energy-efficient upgrades. 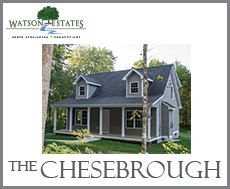 From siding to outdoor living areas, flooring to heating, when you choose Watson Estates, we give you the opportunity to design your dream home. 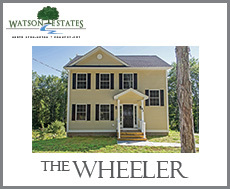 Potential buyers can add desired amenities, including pressure treated decks, garages, covered porches, stamped concrete patios, and gas with granite fireplaces that will create a cozy atmosphere during New England winters. 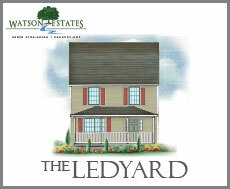 Please click on rendering for floor plan information.